Qin Hui and Zhao Gou are talking again. They’re obviously up to no good. Zhao Gou finally gets pissy. Qin Hui actually tries to talk Zhao Gou out of killing any of the generals. What a useless Emperor, this one. Zhao Gou complains that Yue Fei and Han Shi Zhong sent him too many petitions. Uh, isn’t what they’re SUPPOSED to do? Would you rather they storm your palace? Qin Hui tells Zhao Gou that they have loyal intentions. Just kidding, Qin Hui is just a master manipulator. He tells Zhao Gou that the Emperor should just sit and watch the generals fight each other, before he knocks them all out. General Du plots some more with his baddie general. He sends baddie general to go meet with Jin again. Greaaat. Baddie tells Jin 2nd Prince about the military formations and plans around the city. Wu Zhu plays some Chinese chess with Yu Wen Xu Zhong. Aw, converting them one at a time. Ling Er (Wifey) giggles as Wu Zhu loses. Yu Wen Xu Zhong doesn’t let Wu Zhu take back his move, and the inner child bursts out…Wu Zhu flips the whole table. LOL. Insert some metaphor for the battlefield. Wu Zhu pulls out a knife and starts waving it at Mister Yu Wen. The man is calm as can be, and just waves his dagger aside. Wu Zhu finally sits down for another round of chess. Wu Zhu wins. The two reconvene to talk some more philosophy. Finally, they talk about real battles. Yu Wen Xu Zhong tries to talk to Wu Zhu about peace. Wu Zhu tells him that Yu Wen can teach him mandarin, but can never change the blood that runs through his veins. 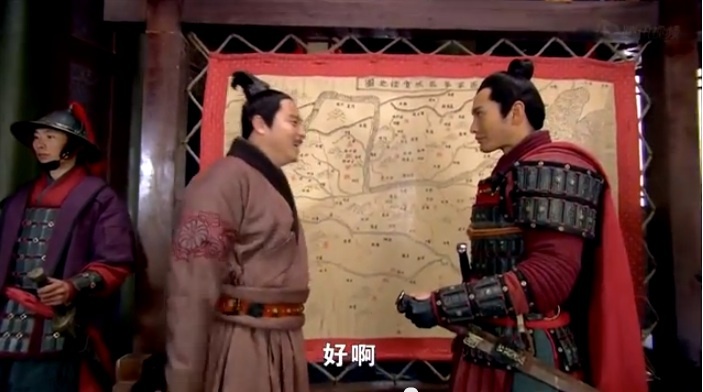 Yue Fei and General Du talks some more battle plans. Yue Fei asks to lead a water battle. 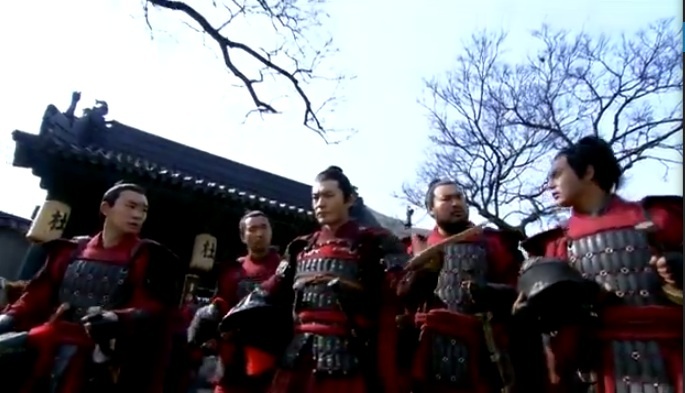 General Du stops him, and Yue Fei says he’ll make a death vow (if he loses the battle, he offers up his life). General Du just laughs and says he wants General Han Shi Zhong to lead this battle. Bad feels. Qin Hui talks to his wife about his plans to resume peace talks. Zhao Gou yells again about how the Jin army have started to close on his city again. Is it time to flee again? Qin Hui suggests peace talks and volunteers to go. Aw, Liang Hong Yu is bandaging up her hubby. She worries that one day he’ll be injured in a life-threatening place. Han Shi Zhong just laughs that he will be careful, and that the fortune-teller told him he can live until he’s 99 years old. Yue Fei arrives. 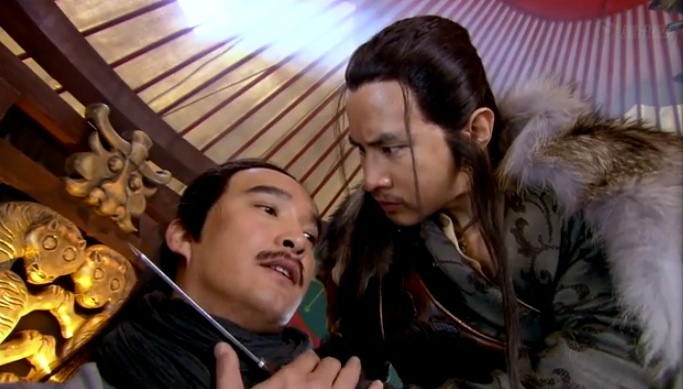 He tells him of General Du’s plan for Han Shi Zhong to lend him some soldiers. Han Shi Zhong totally sees through the plan and tells Yue Fei to hurry back to the city. General Du had sent him to Han Shi Zhong to get Yue Fei out of the city (and so Jin soldiers can attack). 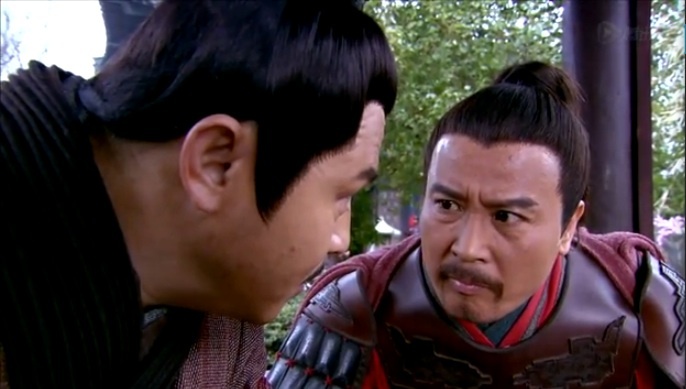 Bro Squad tries to figure out ways to delay General Du, as Yue Fei hurries back to the city. They increase the soldiers guarding the city walls. 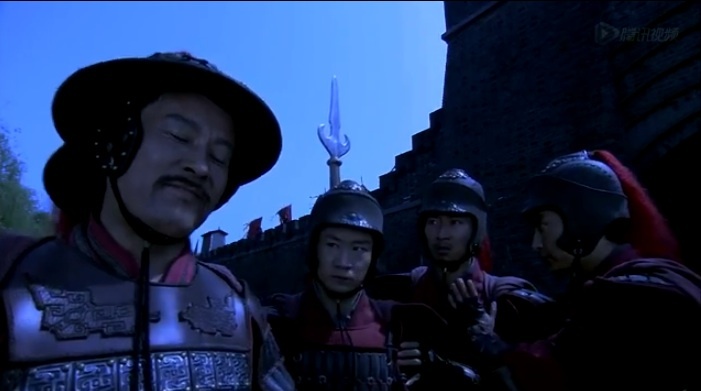 General Du orders that the extra guards be removed. 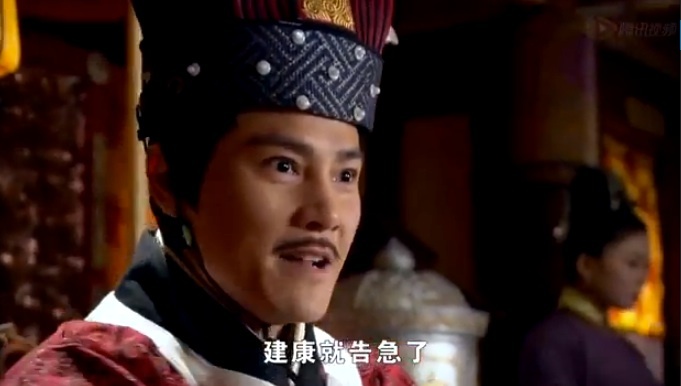 Ooooh, there’s some conflict between “General Du says this” vs “Yue Fei ordered this”. Wang Gui arrives and tries to talk nicely. What? He ends up ordering the soldiers to back off. This entry was posted in Chinese Dramas, Drama Recaps/Reviews and tagged 精忠岳飞, Episode 33, Huang Xiao Ming, Jing Zhong Yue Fei, Patriot Yue Fei, Recap. Bookmark the permalink.